I am super excited about this category, I must admit. There are some ideas in the making, so I hope you will like what it's in store for you. It's one of my main goals for this year, to travel more. I have to find the time (and money) to go and visit more of our lovely planet. There are so many beautiful places out there, that I cannot simply just stay in my comfort zone and must go and explore! Check my TOP10+1 destinations I'd like to visit on a short/mid-term. A nice weekend away is planned! Can't wait!!! Have you got any tips or recommendations?? I would love to go back to the USA this year, not sure if NYC again or some other city. I'd love to visit San Francisco or Chicago. Let me know in the comments which are yours. Eu quero ir a Sevilha nos meus anos!! Uma excelente ideia para passar o aniversário!! 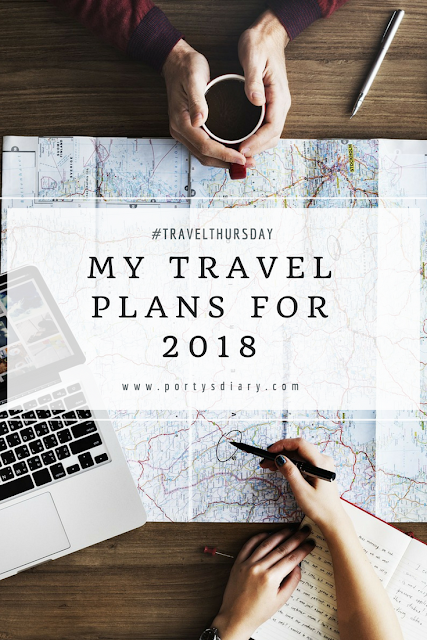 Sounds like a busy and wonderful year of travel! I would love to travel, especially abroad, but like you said, the time and money aspect of hard. I really enjoyed your post. It really reminded me of how much I love traveling so much. But like you said, time and money are always in the way, which is sad to admit. I really wish those weren't an issue. Imagine all the places we could visit if those weren't such great obstacles. Yeah, so many beautiful places out there to be explored! I'd love to go to Copenhagen. I'm going Mexico this year!